Starting with Jedox Integrator 5.1, Integrator projects are migrated automatically with updates; there is no need for CLI or to import project again. This article describes the most recent updates regarding migration of Integrator projects and how to migrate from one version to the next. In Cube Load for persisted drillthrough explicit defined schema and table names are now case-sensitive. Until 7.0 SR 1 these names where automatically converted to upper case. This is consistent with the behaviour in Relational Load and allows the usage of non-uppercase schemas and tables of the Relational Database. 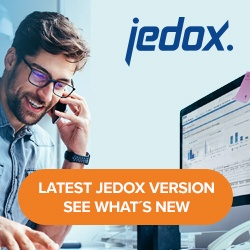 Changes from Jedox 7.0 to 7.1. For the filebased connection types File, XmlFile, JsonFile and ExcelFile the former location type URL has been separated more logically in terms of protocols to the types HTTP, FTP and WebDav. The location is automatically migrated to HTTP. For WebDav the location has to be changed manually. Reading from FTP Servers will also work with location HTTP but the location should nevertheless be changed as location FTP uses a different implementation. The write-access to FTP is new with 7.1. The Hadoop connectivity is integrated in the standard Jedox Setup so there is no need for installation of a separate package. The connection type “Hdfs” for access to the Hadoop Distributed File System is no longer available in Jedox 7.1, it is replaced by a separate location type Hdfs in the filebased connection types File, XmlFile, JsonFile and ExcelFile. This allows the reading and writing of Json, Xml and Excel Files additionally to the CSV files. Connections of type “Hdfs” have to be adapted manually to a connection of type “File”. In Jedox 7.1 it is possible to define an alias for each input column of a Groovy function. If the name of the input column is not a valid Groovy variable name, e.g. a Groovy keyword, it is obligatory to define a valid alias name. For the SAP connectivity new transport packages are availble with dedicated SAP namespace “/JDX/” for SAP netweaver releases 7.31 and higher. The new transport packages should be installed, though it is not obligatory. The logic of parameter months offset has changed. Extracts using this functionality and pattern symbol “O” have to be adapted. The Boolean option “ignore Empty Cells” in 6.0 is replaced with option “Empty cells”, offering 4 possible options to define the behavior for empty and 0 cells. The automatic migration of ETL projects sets “includeEmptyDefaultMapping” if it was not set and “excludeEmpty” if it was set, which should lead to same results as in 6.0. Special attention is required if option “read rules-based values” is used for rules returning value “0”. For attribute cubes an additional column #_LANGUAGE for localisation is returned. Subsequent transforms or loads may have to be adapted. Note that when reading attributes in a Dimension Extract no manual migration is necessary. The special mapping argument #space only covers empty values in Jedox 7.0. For NULL values, the mapping argument #null is introduced. The mapping table may have to be extended. For empty cube cells, a NULL value is returned by this function. Before Jedox 7.0, the result was “0” or “” in this case. If necessary, an additional function of type “Map” is necessary to achieve this behavior in Jedox 7.0. A NULL value in an input column is transferred as NA value to the R Script engine. Note that this is not the same as a NULL value in R. (Before Jedox 7.0, NULL values have been transferred as empty strings to the R Script engine). Cube load with drillthrough can no longer be used in combination with load mode INSERT. This mode only resulted in consistent results if the source contained one row for each combination of cube dimension columns. A switch to mode ADD should be considered. The equivalent loading to a relational database table can be achieved in Relational load (with mode INSERT and Aggregation option enabled). For attribute cubes an additional column #_LANGUAGE for localisation is required. Preceeding transforms or loads may have to be adapted. Note that when writing attributes in a Dimension Load no manual migration is necessary. NULL values are written in this way to a JSON file: “Column1”:null. (Before Jedox 7.0 it was written as empty string “Column1″:””). The framework for SOAP web services in the Integrator Server changed in Jedox 7.0 from Apache Axis2 to Apache CXF. Customer-specific client applications directly using the ETL SOAP API may have to be adapted. The switch of the framework implies changes in the generated WSDL, but not in the individual API methods itself. For Java clients, required code changes depend on the web service client framework that is used. The character ‘~’ (tilde) is forbidden in the name of integrator projects and components, additionally to character ‘.’. Integrator projects using this character have to be exported and manually be repaired. If a “Range” is set with a row index and there are empty rows at the top of the file, these rows haven’t been considered correctly up to release 6.0 SR2. The number of empty header rows has to be added to the Range parameter in 6.0 SR3. Example: Excel File with 2 empty header rows, range starting with row 3 (first filled row). The Jedox Integrator (ETL) projects are automatically migrated after installation of Jedox 6.0. The following Integrator component changes have to be checked manually. The Time-to-date hierarchy handling has been extended with additional configuration options, resulting in different generated hierarchies. The modes “toNext” and “toRoot” in 5.1 are both migrated automatically to the new mode “timeToDate”, with the upper level as reference level. It is maybe convenient to change to mode “timeToDateDeep” and/or to adapt the reference level. No longer supported, since Java 8 is required. Parameter “Delimiter” is now obligatory (before default “,” was used). The option completeWeeks has been removed. The pattern symbol “w” leads to different results now (the same as in Java standard), the new pattern letter “v” has the logic of the former symbol “w”. • In case of completeWeeks=false: You have to replace pattern letter “w” with “v”. • In case of completeWeeks=true: You have to replace pattern letter “y” with “Y”. • If the result is set by assigning a the function name to a value (instead of using “return”) and there are additional script rows after this assignment, in some cases the result may be NULL in 6.0. In general, the result should always be set by a “return” statement. 1.) If header row is set and has empty values, the name “column” is used as default value instead of “constant” for the column index. For directory connections, the selector “files” now returns only files of the directory but not subdirectories. To include subdirectories in the output, the new selector “filesAndDirectories” has to be used. For persisted drillthrough the Boolean option “Aggregation” has been removed. Now for load mode “Insert”, aggregation is implicitly done; for all other load modes, no aggregation is required. If so far you’ve used load mode “Insert” without aggregation, you should consider using mode “Add”, because loading performance is increased and consistency between cube and drillthrough data is nevertheless obtained. See more details in article Load Cube with Drillthrough. If the same Excel extract is used in several transforms or loads as a source, you should use the new option for caching of sources to increase the performance due to parsing of the Excel sheet several times. Caching should be set to “memory”. In 5.1, the Excel extract used caching implicitly, even if it was only used once. For language “de” (German), the pattern symbol “MMM” returns for the month of March “Mär” instead of “Mrz”. This is due to a change in Java 8 which refers to the Unicode standard (see Java documentation here). With release 6.0, authorization to Jedox Integrator is necessary with a separate login call. A SOAP header containing the session information is required. This is explained in detail in the article Accessing the SOAP API of Jedox Integrator from PHP. It can easily be adapted to other programming languages. This is also required for macros in Jedox Web spreadsheets. As authorization is necessary with release 6.0, the CLI call to Jedox Integrator has to provide login credentials. They can either be given directly with each CLI call or by defining profiles. For details, see Integrator Command Line Client. The job context parameter “failOnError” has been replaced in version 6.0 with the new job option “Fail on status”, which is available in all job components. If failOnError has been used e.g. This has to be converted manually with a logic using “Fail on status”. You have to install the latest versions of the SAP transport packages for SAP Netweaver releases 7.31 and above, as described in the article Installation of SAP Transport Packages. Parameters Skip, Start, End, Columns have moved from File Connection to File Extract (as they do not apply to a File Load). Please read the note at the end of article Connection to Access. These file-based relational connections have moved to connections Derby, Hsqldb, H2 with new parameter “Mode” set to “Embedded”. Tree Extract has been replaced by new component ConstantTree, with a different table-based control. It has column level (from 1 to n), element, weight, node type ,and optionally columns for attributes. Note that there is also a similar new component ConstantTable. Option “read only Masterdata” is replaced with inverse Option “read only groups”. Boolean option “generate Roots” is replaced by the more general option “Slice mode”. True is migrated to “generateRoots”, false to “exclude”. The numerical values of option “first day of week” are replaced with text representations “Monday”, “Tuesday”, etc. This has been replaced by the transforms TableAggregation, TableNormalisation or TableDenormalisation, depending on the mode. If a loop source has been defined in the transform, it is replaced with new transform type TableLoop. The attributes have to be defined separately with type “numeric” or “string”. The options for UpperLower function are now in lowercase letters. The default mode is omitted. A mode has to be set for each of the steps “Elements”, “Consolidations”, and “Attributes”. To de-activate a step, option “<No Load>” is replaced with mode “inactive”. If option “Run in parallel” is set, it is replaced with the new job type “Parallel”. The options “Start” and “End” are omitted. To define a row filter, a separate transform TableView has to be applied on the data source. The option “Execute in parallel” is omitted. To execute the job in parallel, it has to be included in a job of type “Parallel”. Select the ETL project to migrate and click on “Download project”. Then click on “Upload project” and select the ETL project file that you just downloaded. During the upload the automated migration takes place. During the upload the automated migration takes place. The migrated project will be written to a separate file before the upload.